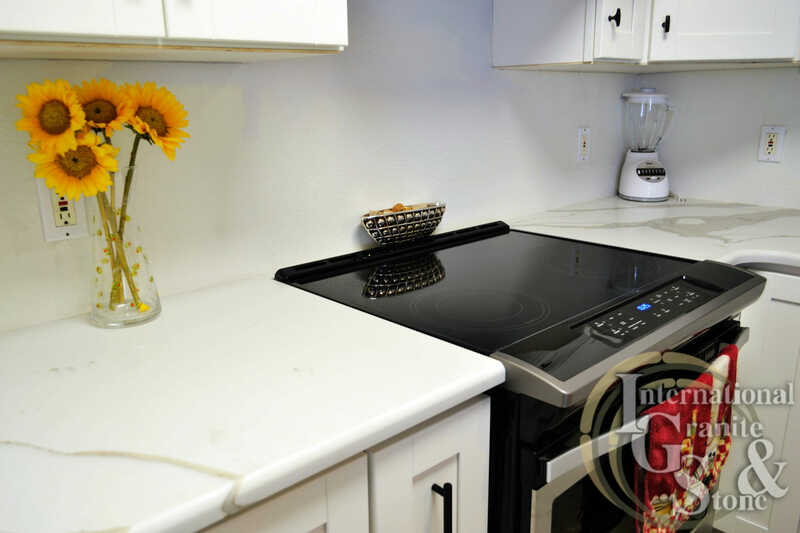 Looking for Quartz Countertops Tampa? This week, we got the chance to visit a Condo in the New Tampa Area. New Tampa, annexed from Tampa in 1988, is a 24 square mile subdivision of Tampa. New Tampa is right on the border of Hillsborough and Pasco County. The Soler family moved to the area three and a half years ago. Originally from New York, the couple moved to Florida in 1993 and have owned (and still do) various homes all over the State. Life in Tampa Happens in the Kitchen. From getting kids ready for school in the mornings and making lunches, to settling down for a good night’s dinner, your Kitchen sees a lot of wear and tear on a daily basis. Complete Kitchen Remodels are a popular home renovation project that can vastly increase the appearance and perception of the space. The right kitchen layout, with ample amounts of Countertop Space has become a staple in most Kitchens today. The Soler’s first started their home renovations with the kid’s bathroom, late last August. After the bathroom project came the Kitchen. The couple wanted to redo the whole feel of their kitchen. That meant new cabinets and new floors. 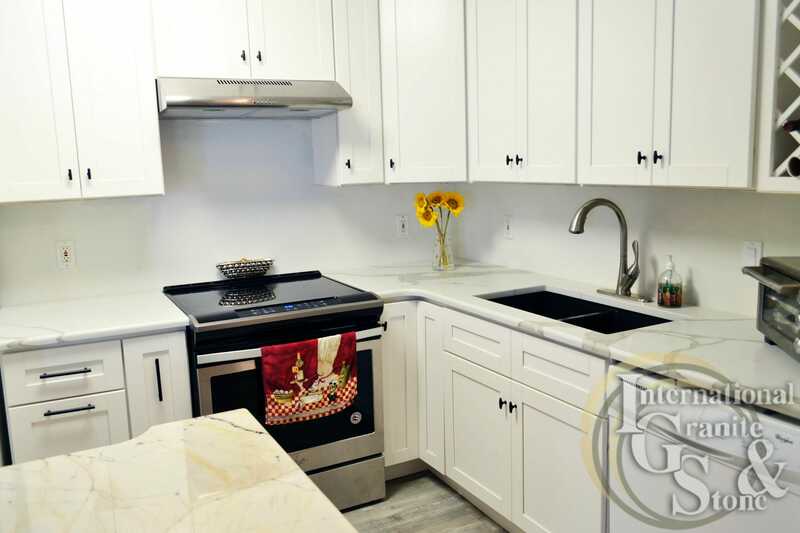 They chose White Shaker Cabinets and CaliBamboo Flooring. Next came the Countertops. 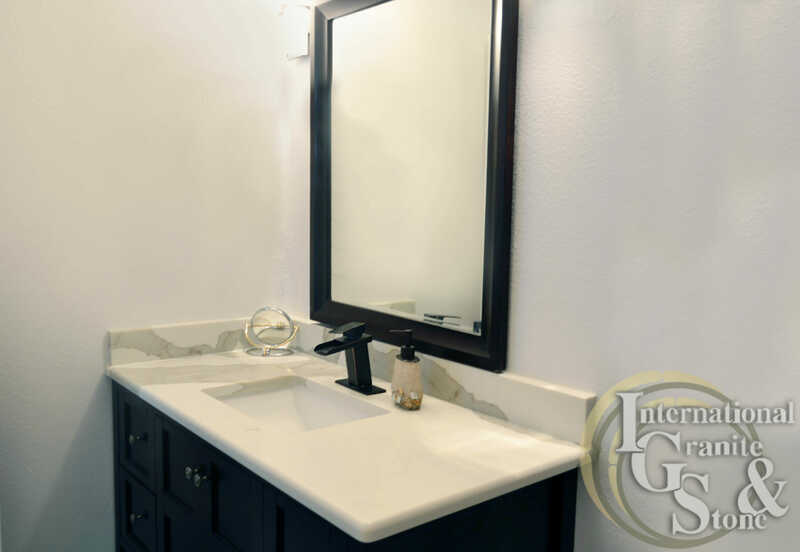 The Soler’s found International Granite and Stone on the Internet and scheduled an In-Home Consultation with our Designer Pedro M. to get to work picking out their tops. The Soler’s knew they wanted something light and bright, but with a little bit of dimension too. With Pedro’s expert advice, the customer came to the decision to use two types of materials, Granite and Quartz. After two trips to the showroom, the decision was finalized and colors were chosen. 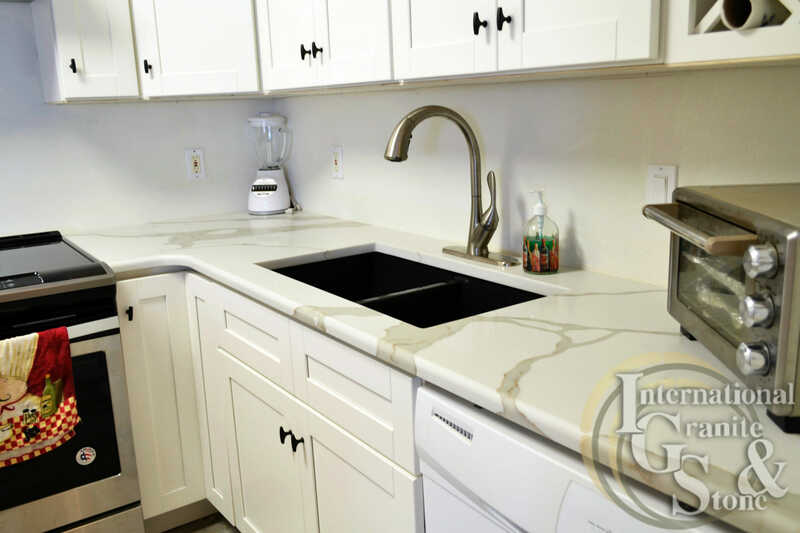 For the countertop spaces, the couple chose to do Calacatta Imperiale Quantum Quartz, with a Half Bullnose Edge. They wanted something different for the Island, so they went with a Granite color called Grand Delicatus. The white in the Granite went well with the Quartz, giving the room a pop of contrast along with it. With an In-Home Appointment and Pedro M.’s Help, The Soler Family Chose Quantum Quartz, for Its Immense Durability and Low Maintenance. 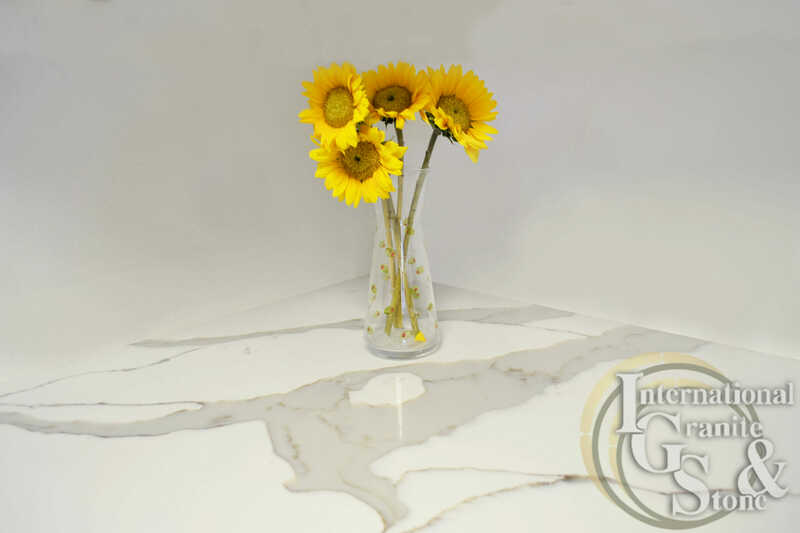 Buy with Confidence; Quartz Countertops Stain Resistant and Scratch Resistant, and Never Requires Sealer, Unlike Granite or Marble. A sealant is an additional cost you can avoid with Quartz. The Lighter Colors Are Preferred to Customers Because of Cambria’s Lifetime Warranty against Stains and Scratches. 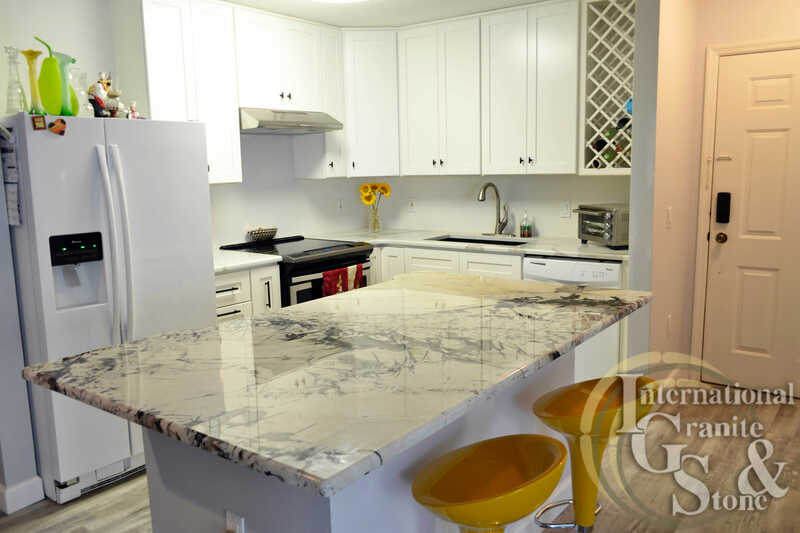 The Soler family also chose a Granite Slab for their Kitchen Island. 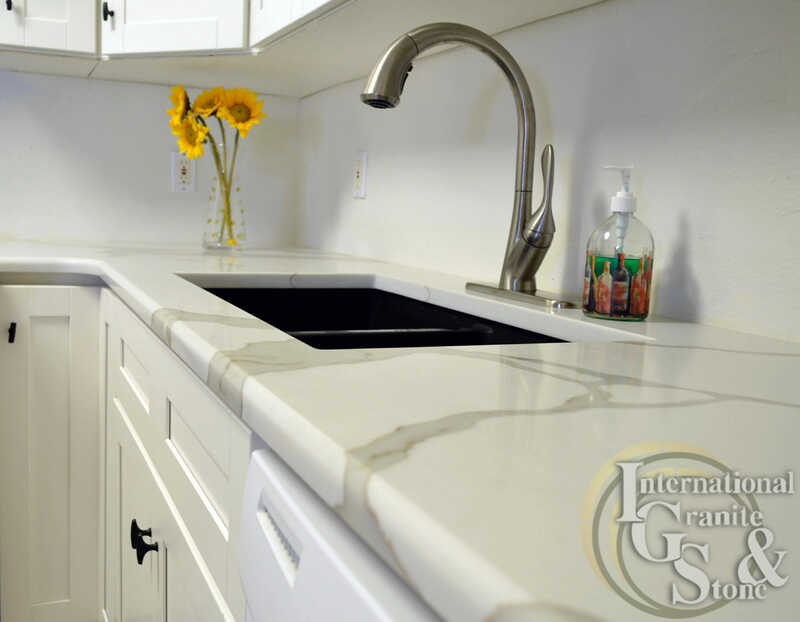 At International Granite and Stone-Clearwater, We Make It Easy to Get New Kitchen or Bathroom Countertops. 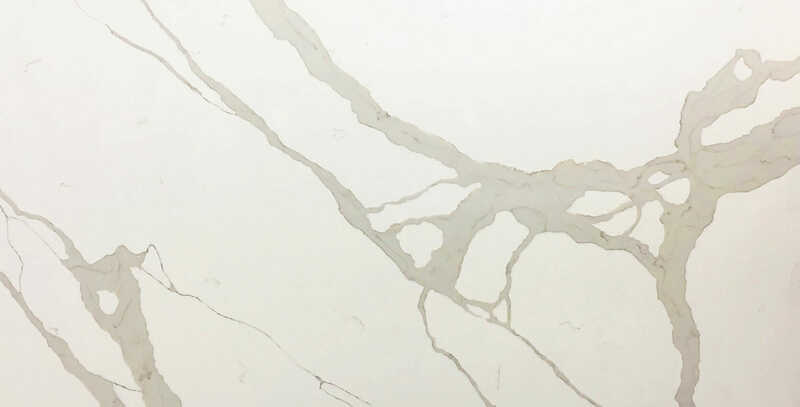 Shop Online, Schedule a Free In-Home Appointment or Visit our Cambria Quartz Premier Gallery of Clearwater, Featuring: Cambria Slabs, Granite Slabs, Kitchen and Bathroom Displays, Samples and More.